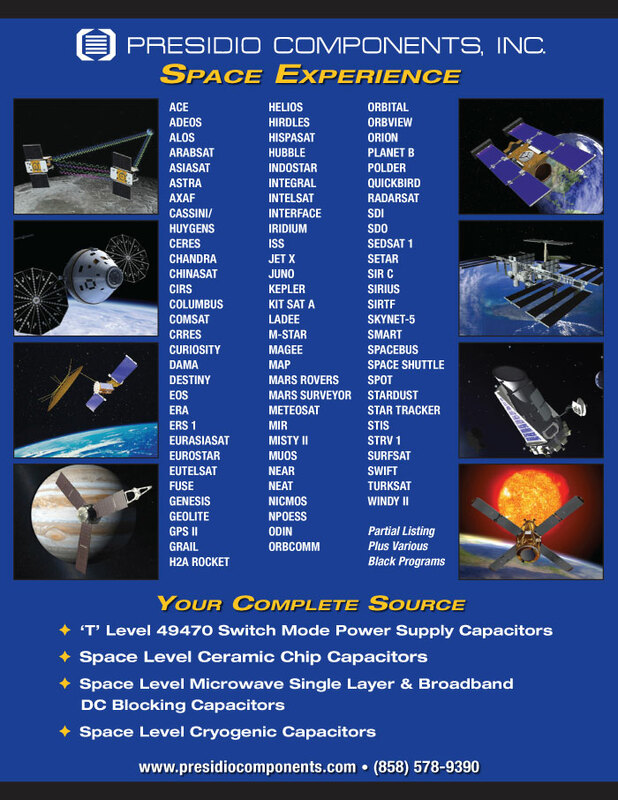 Presidio Components provides ceramic capacitors for high quality commercial, military, and space applications. Our customers manufacture products such as aircraft, missile guidance systems, switch mode power supplies, phased array radar, high frequency transponders and receivers, and ring laser gyros. Projects we're proud to be part of include the following. Contact us to discuss YOUR needs.